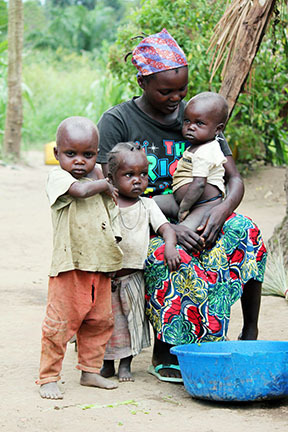 Beatrice Dwalina is a 26-year-old mother of three who has learned from Samaritan’s Purse how to better feed her family. 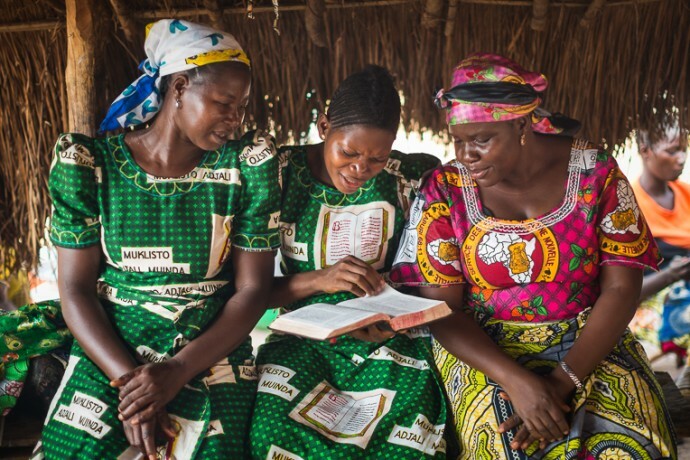 My family was greatly affected by the 2002 war in the Democratic Republic of the Congo. Everything we once owned got destroyed. We’ve been displaced quite a few times, from Talolo to Mambasa, a distance of more than 200 kilometers. We’ve been trying to return but haven’t made it there yet. Right now, we’re settled in Marabo where we live in a house owned by someone else. When we were in Talolo, we had our own farms, we grew our own food, and there were gold mines where my husband worked. Since we now live far from the gold mines, my husband left me when I was 6 months pregnant to return to mining. After two years, he returned to us with no more money than he had before. By then, our child was 18 months old. This type of separation is common here and greatly affected the lives of my three children and me, as well as our health. We became malnourished; the children had several bouts of skin and respiratory infections. I couldn’t provide food for my children or myself, and famine remains our greatest threat. 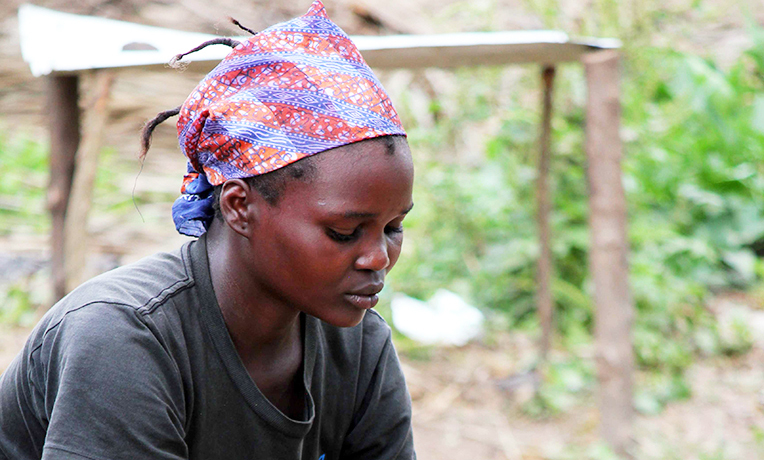 I felt uncomfortable each time I was with other women of the village because malnutrition is considered disgraceful. One morning, one of the Leader Mothers trained by Samaritan’s Purse stopped by to share a health lesson with me. It was on essential nutrition actions during pregnancy. After this, she referred me to a Samaritan’s Purse health promoter who has been teaching me how to diversify our diets by adding soya beans and peanuts to make it more nutritious. She also taught me about personal hygiene. She supported me spiritually and financially in whatever little way she could. Right now, I’m hopeful that my children and I will be in better health and will eventually come out of this state of malnutrition. I will continue to participate in these health trainings and try to put everything I learn into practice. I want to thank Samaritan’s Purse for this health education that came all the way to my doorstep. Although my husband will return to the gold mines, I’m better equipped now to care for our family while he’s away. I would like you to pray for me so that God gives me strength to bring up my children even in the absence of my husband.